Living in Virginia and would like to know if this is a good place to grow persimmon and fig trees. Any tips would be appreciated. Yes to both. 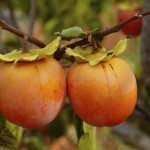 Persimmon trees are hardy in Zones 5-9. Fig trees tend to enjoy somewhat warmer temps, but with adequate winter protection should do fine in your state.